Dedicated to quality workmanship and customer satisfaction for over 20 years. Insured with an A rated Liability and Workman’s Compensation company. Serving the Lake Tahoe / Truckee area and beyond. Our family owned business has been providing roofing services since 1998. Specializing in all aspects of roofing, from small repairs to full re-roofs. We do all types of roofs: traditional, metal, asphalt shingles, and three ply membranes. 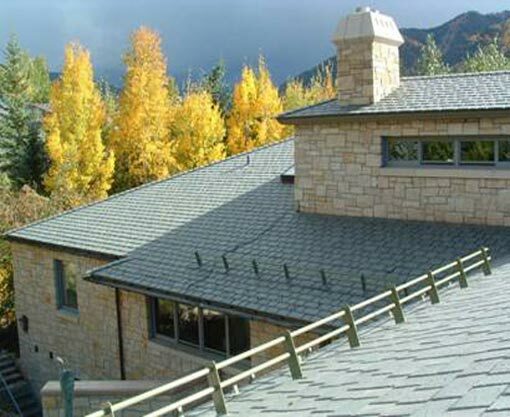 Go green with new, eco-friendly roofing products, such as DaVinci Slate and Eco-star recycled shingles. We also can create custom gutters and ice melt systems. West Shore Roofing has been dedicated to quality workmanship and customer satisfaction for over 20 years, with price ranges that are affordable and roofing solutions to fit your needs. The owner, Joe Quinn, is a hands-on contractor with knowledge and experience. Joe asks you to call and talk to him personally, so you can hear why West Shore roofing is the best choice to handle your roofing needs in the Lake Tahoe and Truckee Areas. Trying to help Mother Nature? We have “Green” options available like DaVinci Synthetic Slate, and materials from Eco-Star. West Shore Roofing has solutions for snow retention and many other options to help fight the tough Tahoe winter. Snow on roofs can shift unexpectedly and dangerously. Our products allow you to manage snow movement in a way that doesn’t violate your roof’s warranty. For high traffic anti-danger common walking areas. 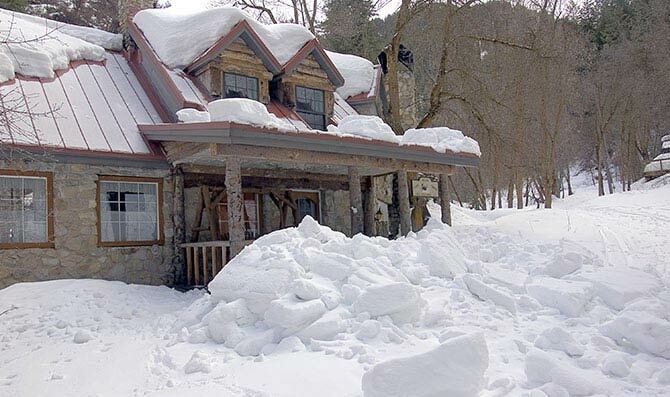 And if the snow on your roof becomes too much for you, give us a call for snow removal services. CertainTeed’s stunning line-up of products is designed to work together beautifully, so you can mix and match colors to your heart’s content. MSM craftsmen have manufactured products of unrivaled quality from our Sparks Nevada facility since 1983. State of the art computerized equipment and seasoned fabricators have enabled MSM to provide the finest quality products at the most competitive prices. Cor-ten, Copper, Painted Galvanized Steel, Standing seam metal roofing for residential, commercial or industrial applications. Founded in 1886, GAF Materials Corporation is one of the largest and fastest-growing building products manufacturers in North America. Offering high quality products in roofing, decking, railings, decorative stone, ductwork, and specialty fabrics, GAF is your best and safest choice. DaVinci Roof Scapes Synthetic Shingles…Beautiful by Nature. A synthetic shingle shouldn’t look like a “fake”. It shouldn’t just look “similar” to rough-hewn cedar shake or quarried slate. It should be an authentic replica to all those who view the home. That is the uncompromising principle behind DaVinci Roof scape’s synthetic shingles.